Staying with us, you will enjoy the direct neighborhood of Goethe's residential home - right there in the historic center of beautiful Weimar. You are able to park your car in our private parking area, off the street for a small fee. Upon entering through the 1826 cast iron gate dating back to the Biedermeier era in the first half of the 19th century- you start a journey through time in Weimar. 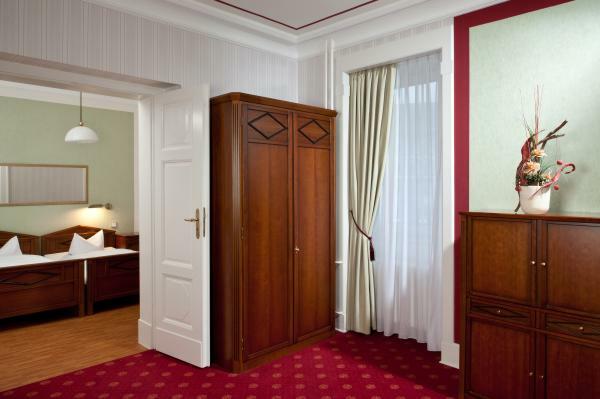 While enjoying all the comforts of the present, our classicist style furnished rooms, suites and conference hall bear witness to the Golden Age of Weimar. 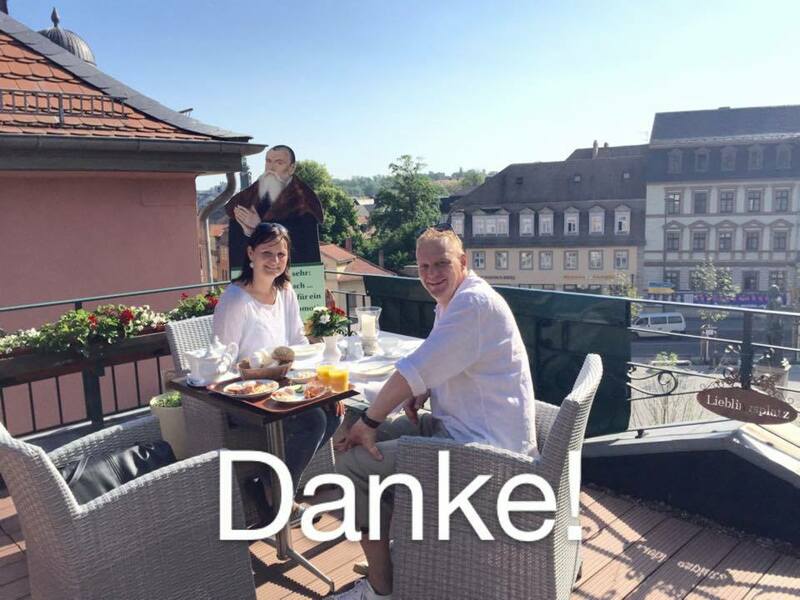 Wonderful not only for guest of the house but also friends and family from Weimar and it's surroundings. For birthdays or anniversaries, to say thank you or " just because..."